Kirstinpuisto is situated in the brownfield zone between the city centre and the first suburban ring. Currently, the land use consists mainly of small-scale industries, storage and empty lots. There are also some housing and small businesses in the area. Even though the buildings range from the 1950's to the present, most date to the 1950-1960. The planning process is ongoing and no definitive decisions have been made about the land use. The current plan is to have a combination of housing (apartment buildings), offices and services. A total constructed volume of the plan is 85 000 m²: 1200 apartments and 1700 residents. In 2012, a conceptual plan of the city plan area was made by an architect firm. The plan can be used as an overview of the future land use but it is not certain that the further planning will be based on it. Kirstinpuisto is flat and close to the sea level (mostly between 3-5 m above sea level). Distance from the shore line is approx. 1.4 km. Soil is mainly clay. Due to the areas industrial past, there are also some contaminated soils. Stormwaters are led to the sea through a stormwater pipeline which is already on the limit of its maximum capacity. The situation is worsened by the regional wastewater treatment plant which leads its effluent waters to the same pipeline. At worst, mixed wastewater and stormwater have flooded the streets and cellars near the treatment plant. The peak loading of the stormwater pipeline should be reduced. 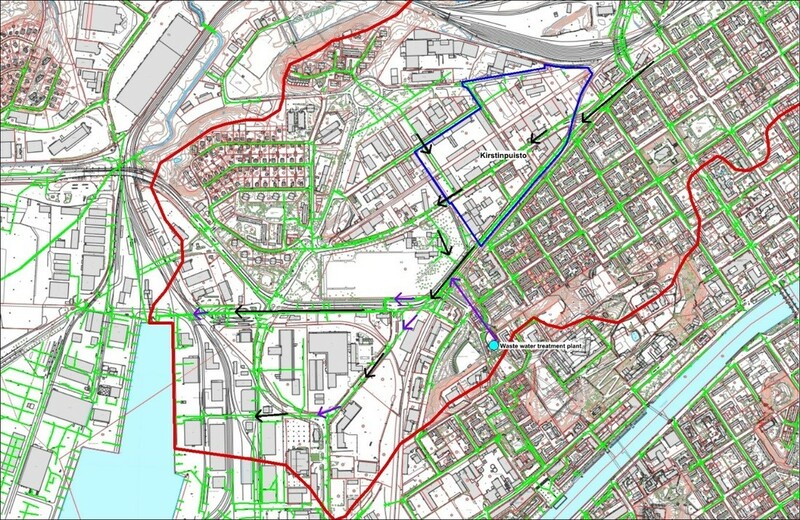 Therefore, the aim is to retain as much stormwater as possible within the new city plan areas, such as Kirstinpuisto. 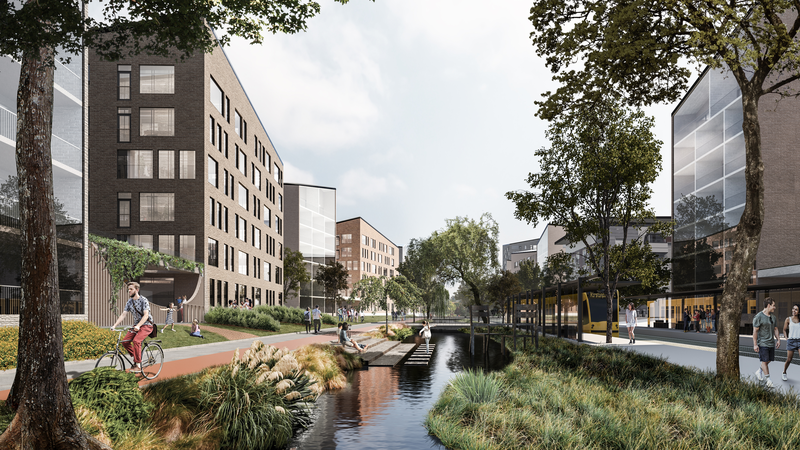 The adopted stormwater management strategy in Kirstinpuisto comes from the combined use of centralized structural controls, the Blue-Green Factor in private lots and a climate adaptation solution. A linear park in the middle of the site was designed as a multifunctional “green” infrastructure including several detaining ponds linearly connected. This way the park works as a centralized structural control for stormwater management and as a recreational area for the neighborhood. The Blue-Green factor will be compulsory in all private lots and required when applying for building permit. 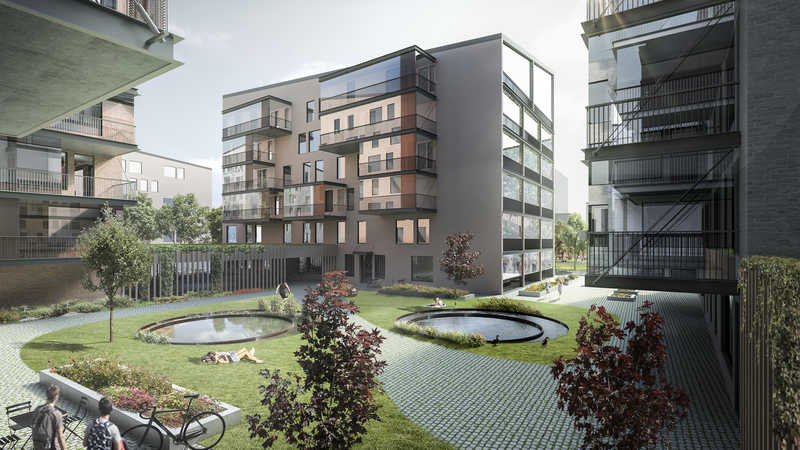 Turku Blue-Green Factor will apply limits to the amount of impervious area in each plot in addition to the Green Factor required level and the compulsory retention volume of stormwater within the plot. 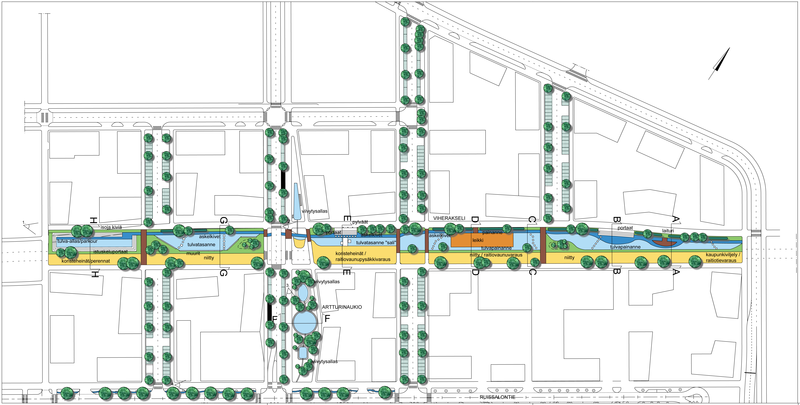 Thus, stormwater control solutions will be constructed in private lots and properly connected to the centralized stormwater controls in the linear park. The flat topography of the site could make Kirstinpuisto prone to flood in case of an increasing trend in the number of extreme rainfalls due to climate change. Therefore the new building blocks will be raised about 1 meter over the street level to avoid damages to the buildings.